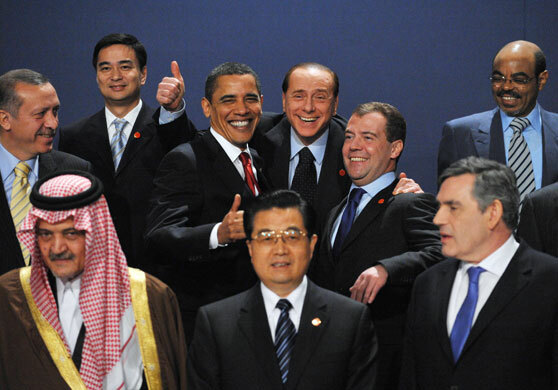 In the past two weeks, not even the United States avoided the rebellious mentality that has swept the Middle East. As a result, the center of the American political world is currently in Madison, Wisconsin. 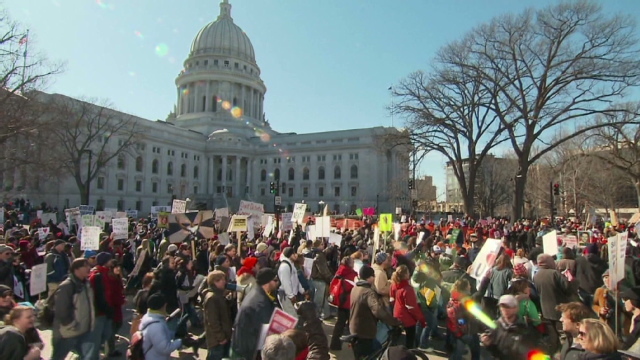 Thousands of pro-union demonstrators have flooded the state capital in protest of newly elected governor Scott Walker’s proposal to curb union power to cut the state’s deficit. His proposal calls for the end of all public union collective bargaining rights, significant cuts to healthcare for lower-income residents, and the ability for private-sector organizations to take over public utility plants. The governor’s office claims the reduction in spending will save the state $165 million over the next fiscal year. In what is considered the largest demonstration since the passing of Arizona’s controversial SB 1070, Wisconsin workers, mostly teachers and factory employees, have come out in droves to bear the bitter cold and support union rights. The demonstrations have been mostly peaceful, but some rhetoric and signage bears an uncanny resemblance to the presentations of the Tea Party during their rallies in late 2009 and early 2010. In response to Governor Walker’s proposition, 14 Wisconsin Senate democrats fled the capital when the vote was set to take place. Many of the hiding Senators have been found in Illinois, and this tactic, though strange, has been successful in blocking an attempt to vote for Walker’s legislation. The Governor threatened a layoff of nearly 1,500 state employees if the bill wasn’t passed by Friday, but Walker has yet to declare whether or not he will fulfill his end of the ultimatum. Many conservative leaders have placed the blame, if not the explanation, on the Wisconsin voters themselves. Wisconsin, traditionally a blue state, experienced some incumbent distaste in the 2010 midterms by voting in the conservative Walker and voting out the 17-year democratic senator Russ Feingold. Walker’s office has said the voters should not be surprised by the policies endorsed by Walker and that any blame should be placed on the voters. Many on the left disagree with Walker’s sentiments. Although it is true the voters should be held responsible for a dramatic change in policy to the right, they claim Walker lied in his campaign by claiming he would negotiate with unions to decrease benefits and salaries to avoid massive layoffs. His proposal, they say, would be historic in that it would revoke any power unions have accumulated over decades of existence. It’s safe to say the clashes will not get violent, but it would be unreasonable to assume the hostility will be limited to Wisconsin. Many states are considering similar pieces of legislation and many pro-union lobbies in Washington are scrambling to give support to the nervous labor organizations they represent. It may not be as dramatic as what is currently happening in North Africa, but the tremors in Madison may give organized labor in the United States a facelift. Stephen Colbert visited Washington D.C. this Friday not as a comedian, but as a witness to the plight of migrant farm workers. Invited by California Representative Zoe Lofgren (D), Colbert “testified” on the topic after he and Lofgren challenged the United Farm Workers “Take Our Jobs” campaign, a campaign that offers Americans to experience the menial work immigrant farm workers perform. Lofgren stated early in the hearing that America is increasingly relying on foreign undocumented labor sources to harvest crops. She hypothesized that it may be due to America’s greater educational level that Americans today are refusing to work in the fields compared to decades earlier (about 95% of Americans currently working hold a high school degree). According to the Department of Labor, over 50% of seasonal agricultural workers are undocumented, but it is speculated to be around 75% due to a lack of accurate information. Critics of the use of underprivileged undocumented workers argue that the problem may be solved through higher wages and better working conditions. This is often hard to achieve, however, because it will increase the price of produce, thus making American crops less competitive with the world. This in turn will create a ripple effect where American farms will move elsewhere while losing jobs connected to farming, according to Lofgren. She further argues that an ample supply of workers harvesting food is crucial to America’s food security because America is reluctant to rely on foreign food services. She stresses that the migrant workers help run the economy and keep the United States humming. Lofgren was countered by Steven King (R, Iowa) from the beginning of King’s speech. He stated that she may just be exaggerating the potential effects of farming without the aid of low earning farm workers. He continued by saying that Americans are hard workers and will take any job, no matter how lowly or difficult. After King’s comments, the political rhetoric continued back and forth between both parties. The eight representatives each spoke with their own points and counter-points to their political counterparts. Colbert was not warmly welcomed by the committee and some accused Lofgren of mocking the integrity of Congress. Others said Colbert helped bring attention to a crucial issue as Angelina Jolie and Kevin Costner have recently done. 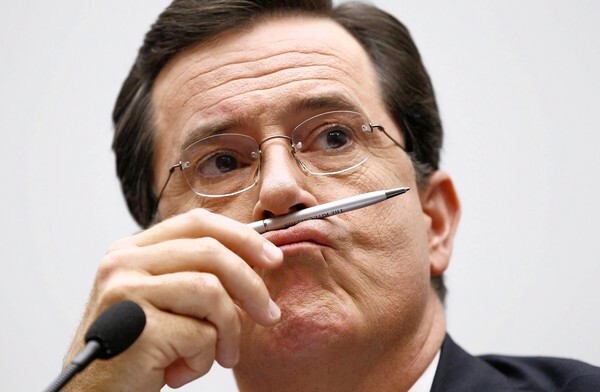 What surprised the court was how Colbert stayed in his trademark character during his testimony eliciting some chuckles from the mostly subdued audience. Representative John Conyers (D) said that Colbert should just submit written testimony and leave, but Colbert reminded him that Lofgren invited him and would leave only if she wanted him to. Conyers relented. Representative Jason Caffetz (R) disapproved of Colbert. With the November 2nd election date more than a month away, a heated gubernatorial campaign is already underway between Democratic candidate Jerry Brown and Republican candidate Meg Whitman. So far the election has been rated as a toss-up, with neither candidate having a clear advantage. Each has a widely different background from the other. 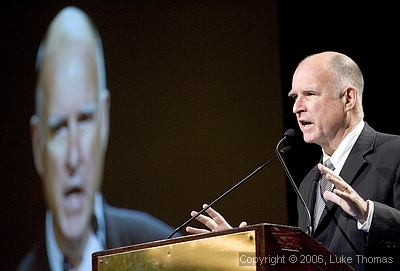 Brown made his debut in politics as the Secretary of State of California and used his previously weak position to bring about lawsuits against various oil conglomerates. His career took off with his 1974 election to the governor’s office of California, taking over for Republican icon Ronald Regan, who had defeated his father Edmund G. Brown in 1966. After taking office, he gained a reputation as a liberal Democrat who had a proclivity to fiscal conservatism. During his two terms as governor, he campaigned twice for the Democratic nomination for President in 1976 and in 1980 where he suffered a famous loss by winning no state primaries. After declining to run for a third term in 1982, Brown traveled abroad away from the political spotlight. After ten years of being out of public office, he ran against then-Governor Bill Clinton during the 1992 Democratic Presidential primaries. He emerged as the future President’s greatest challenger until he lost the Wisconsin and New York primary elections. He remained out of office until he successfully ran for mayor of Oakland, then he became the California state Attorney General in 2006. After he announced his candidacy for the 2010 election for governor, he had no serious primary challengers on the Democratic side. For the November election, Brown has principally touted fiscal conservatism and investment in renewable energies as methods for rescuing California’s troubled economy, an economy that suffers with a 12.5% unemployment rate. 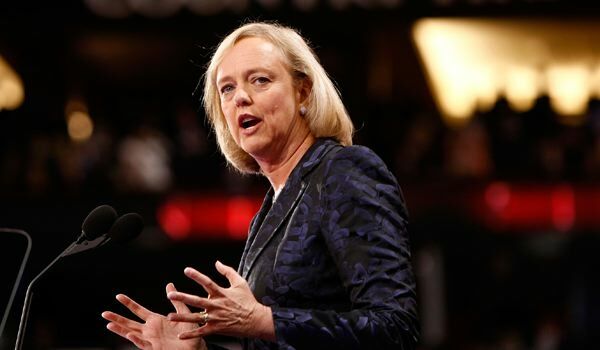 Opposite Brown stands former eBay CEO Meg Whitman, a political novice with a distinguished background in business. A graduate of Princeton and Harvard business school, Whitman served at executive positions at various firms including the Walt Disney Company, Procter & Gamble, DreamWorks, Hasbro, and most famously at internet titan eBay from 1998 to 2008. Leaving eBay with a personal worth of over $1.3 billion, she announced her candidacy for governor in 2009 and has since campaigned aggressively in the primaries where she defeated Republican nominee Steve Poizner and now faces Jerry Brown in the general election. With a self-defined “atrocious” voting record, Whitman says that her business background will bring a practice of fiscal restraint long-needed in Sacramento. She has levied heavy criticism on Brown through a blitzing ad campaign (through which she broke the record for a personal financing of a state election campaign with $119 million) for being a political insider and raising taxes during his tenure as governor. 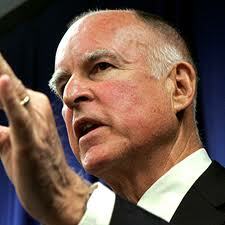 Brown counters that the allegations of raising taxes are false. As the election approaches, Whitman is stepping up her campaign even further with a tremendous monetary advantage. Brown hopes to defeat his opponent with his much greater name recognition and the support of California’s labor unions. Whatever the talking points of the debates, Whitman and Brown will be in non-stop self-promotion mode until November 2nd when Californians will weigh the facts and make their final decision. In response to Glenn Beck’s “Rally to Restore Honor” on August 27th, Comedy Central mainstays Jon Stewart and Stephen Colbert plan to conduct rallies of their own in the Washington Mall only days before the November elections. Jon Stewart called on his viewers and the 80% of the rationally thinking population to join a “million moderate march” on the Washington Mall this October 30th. 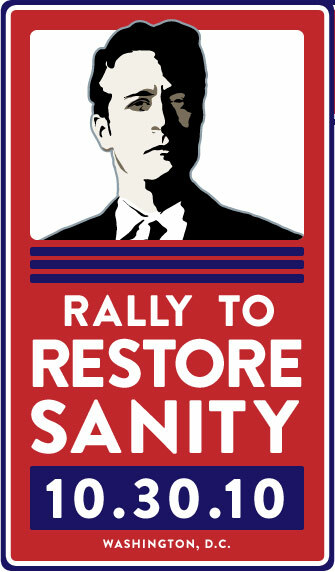 His aptly named “Rally to Restore Sanity” aims to proclaim to the world that the rational among us deserve a voice in a country that is being increasingly dominated by the other 15-20% of people who are vocally radical. His announcement came midway through “The Daily Show”, a platform where he frequently pokes fun at Glen Beck and other political pundits. Some comically reasonable slogans that he has incorporated include “9/11 was an outside job” and “I disagree with you, but I’m pretty sure you’re not Hitler”. He hopes to turn the tide of increasing insanity, which he believes is infiltrating America, in time for the elections. Not to be out done, the “Colbert Report’s” Stephen Colbert plans to hold his own rally in response to Stewart’s “million moderate march”. 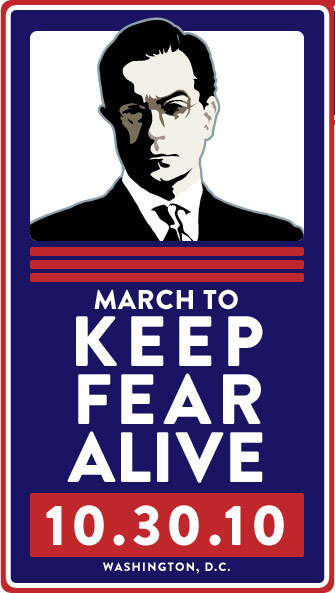 This rally, or the ominously named “March to Keep Fear Alive”, will compete with Stewart’s rally and will employ Colbert’s trademark satire of right-wing political punditry. On his show, he reminds the Colbert Nation that the “reason” Stewart advocates for is only one letter away from “treason”. His “march” boasts to fight against Stewart’s rally and to restore “truthiness”. If it’s true that imitation is the sincerest form of flattery, Glen Beck will certainly be flattered.